"So unless it (the crash) is a major problem of piloting or maintenance – and it is far too early to talk about that - they will still have access to financing," the source added. At Addis Ababa's Bole International Airport, businessman James Markland said he felt no reservations about flying with Ethiopian Airlines and had just come back from a day trip with the carrier to Asmara, capital of neighboring Eritrea. "Both flights were fine," the 62-year-old told Reuters on Tuesday. "They were pretty full." 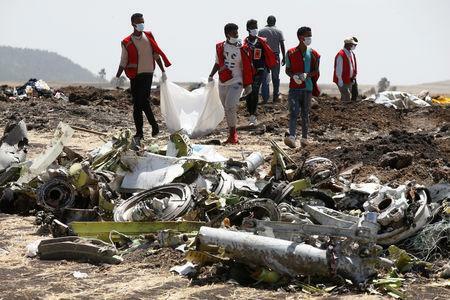 Analysts said the Flight 302 crash was unlikely to damage Ethiopian's partnerships with African carriers, key to a strategy that helped increase passenger numbers from 2.5 million a decade ago to 10.6 million last year, or with other industry players.